The Eleventh Court of Appeals was created in 1925 by an Act of the 39th Legislature (S.B. 189, Ch. 87, P. 258) as authorized by Article 5, Sections 1 and 6 of the Texas Constitution. The Court is composed of a Chief Justice and two Justices. It has intermediate appellate jurisdiction of both civil and criminal cases appealed from lower courts in twenty-eight counties of Texas; in civil cases where judgment rendered exceeds $100, exclusive of costs, and other civil proceedings as provided by law; and in criminal cases except in post-conviction writs of habeas corpus and where the death penalty has been imposed. 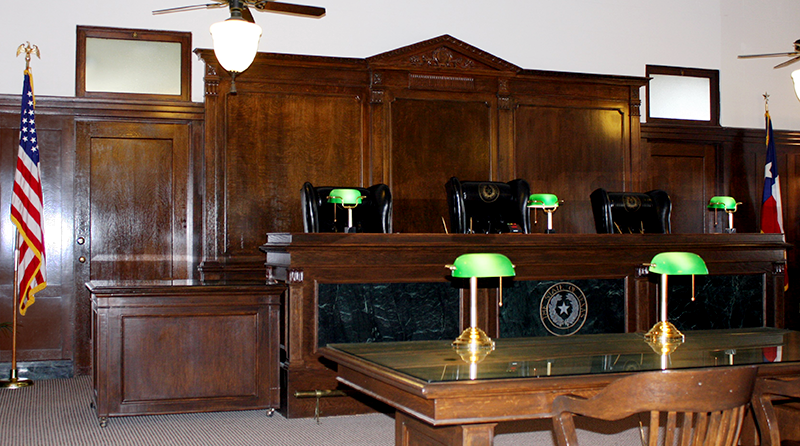 The Eleventh Court of Appeals is located in Eastland, Texas and serves twenty-eight counties. Attorneys practicing before the Eleventh Court of Appeals now have access to a record portal that will allow attorneys to download clerk and reporter records from their offices (only PDF files will be available at this time).